The Internet has been seized by a new spooky story. A WhatsApp persona called Momo, with a hideous mug for an avatar, is reportedly threatening its contacts, distributing shock content, and even inducing users to harm themselves. 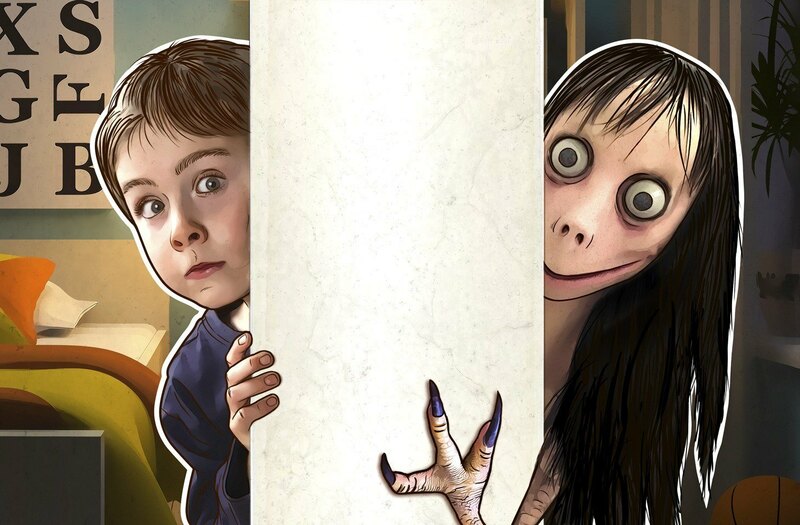 The media refer to Momo as the second Blue Whale (groups, mostly in Russian social media, that encouraged children to do a list of tasks where the last task is to commit suicide). The police in some countries are alerting parents about the new threat for their kids: The spook is suspected to have been involved in the death of a 12-year-old girl from Argentina. Should we indeed be afraid of WhatsApp monsters? How do we secure the younger generation from harmful influences on the Web? Momo: Where did it come from and what does it do? Let us begin with Momo’s avatar — it’s a photo of a sculpture by a Japanese artist Keisuke Aizawa, depicting his vision of a ghost called Ubume in Japanese folklore. The sculpture turned out rather eloquent, so to say; and its image made quite an impression on Internet users, who started making up horror stories about it. And then someone decided to give the scary creature a life of its own, in the form of a WhatsApp account under the name Momo, and went around frightening people with it. The hero of today’s WhatsApp hysteria sends its victims horror pictures (mostly of disjointed bodies), claims to know everything about its contacts, including their actual locations, and tells people that contacting it will not go well for them. Momo may even give them a call — people report hearing bone-chilling sounds or a badly distorted voice. Most sources claim that the spook answers only those who attempt to get in contact with it. According to some sources, Momo’s number was originally distributed through Facebook and then other social networks, as well as Reddit. Russian-speaking media maintain that Momo adds itself to users’ contact lists using some “terrible virus,” but that appears to be a hoax. At the time of this writing, the spook has at least three contacts publicly available on the Internet: the Japanese one from which it all began, a Mexican one, and a Colombian one. In reality, Momo may have more numbers; anyone may create a WhatsApp account with Ubume’s photo for a userpic and join the malicious pranking campaign. Momo has turned into hype — a story taken up by media and bloggers. The former contribute fabricated details, the latter conversations with fake Momos, creating more and more new accounts with the ill-fated avatar. The opportunities presented by Momo naturally attract Internet trolls, who, as likely as not, have produced many more signature-style accounts to scare people with. Given its scary appearance, the creepy content it sends out, and its attempts to compel people to harm themselves, contacts with Momo (no matter who created it) may traumatize unprepared individuals, especially children. In a nutshell, Momo is someone’s bad idea of a joke, taken up and multiplied on the Internet. There is nothing to be scared of, really, but the experience is potentially a very unwelcome one for kids. If you’re worried about this happening to your children, speak to them and listen to them. Be their friend and they will tell you about the things that scare or offend them in cyberspace, whether it’s Momo or something else. have ceased speaking to you. We also advise using a parental control solution such as Kaspersky Safe Kids. It will guard your children from the content you don’t want them to see and limit the time they spend one-on-one with their devices. The program will never replace your dialog with kids, of course, but it will surely help you avoid certain troubles.